Today’s corporate interior decorators are more sensitive to style trends than ever. Corporate brands in Sweden, are looking for innovative ways to stay ahead of interior decorating trends. Now we don’t have a crystal ball, but we do have some ideas on what we can expect to see more of and less of in 2019. At SilkSense we take into consideration the many factors that manipulate the consumer choices and focus is on the change in colour palette; texture; and more interesting flower shapes. Now as we know Sweden is gifted with a wonderful countryside, where many beautiful flowers are grown. The breathtaking landscape of the country, features a tapestry of vibrant bright flowers. Winter on the other hand as you might expect, is dark and cold across most of the country. As Sweden is currently experiencing midwinter, there’s no daylight and you might be lucky enough to enjoy the sight of beautiful blooming flowers, that hasn’t wilted because of the winter chill. Silk flowers on the other hand are not limited to seasons. Having silk flowers in the workplace is just what is needed to instantly brighten the office during the winter chill. They provide a splash of colour, warmth and make the place feel welcoming. The Gladiolus is a striking, long stemmed flower filled with blooms from the bottom to the top. 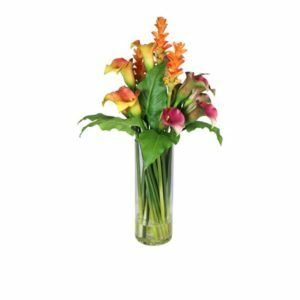 It’s ideal for tall flower arrangements, which instantly warms up any corporate space. This flower symbolizes generosity, sincerity and infatuation. 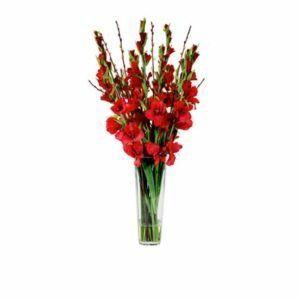 Our silk red gladiolus makes a dazzling flower arrangement for any corporate businesses. The Calla Lilies are one of the of the most beautiful flowers with a unique flower form. Calla lilies come in a wide array of colours for example, pink, purple, yellow and orange. These are excellent office floral arrangements. Calla Lilies signify magnificence and beauty. They create a perfect and productive working environment. 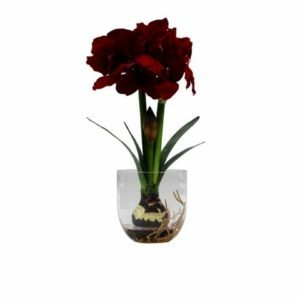 The Amaryllis is a classy and warm flower, which is perfect for the office interior decor. It is a well-structured plant that inspires creativity. Its rich petals are big and boisterous. The Amaryllis is the only genus in the subtribe Amaryllidinae. 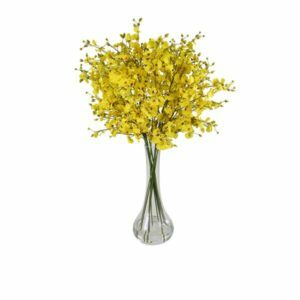 The yellow dancing orchid is a well-structured plant for the office, hospital lobby or any place of business. The orchid is bright and has the effect of uplifting ones mood and inspiring the freedom of thinking. The culture of a living Phalaenopsis orchid usually involves windowsill light and consistent moisture. 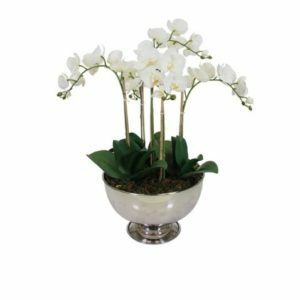 The Silk Phalaenopsis Orchid Arrangement is the perfect alternative as offices have very little and some have no light at all. The phalaenopsis is the perfect structured plant and is perfect for your business reception desk as it creates a lasting impression with clients, and visitors. We are predicting that 2019 will be more colourful than last year with more ambitious colour palettes found in all types of corporates in Sweden. For more corporate style business premises the colours will move from pastels to deeper tones of burgundy and earthy colours. For more relaxed style business premises, we think brighter, and bolder colours will dominate with happy and warm shades of oranges, yellows and pinks. Flowers have a large impact on our mood, creativity and productivity and there isn’t anything greater than an office filled with hard working and happy people!